People keep accumulating stuff with the passage of time. Finally, there comes a phase, when youÂ may find yourself with practically no space left in your homes. It is particularly true when youÂ are staying in a smaller house. Apart from extending your existing space, it may be tough toÂ think about an effective solution for your space related problems. Yet, there are so many ways forÂ being creative with utilizing your existing storage space even though you have a small house orÂ planning to shift to a smaller house. Here are some of those tips to make the maximum space toÂ fit plenty of stuff even if you are shifting to a smaller house as compared to your last one. there will still be a time when you would have reached the maximum limits. It is precisely at thatÂ moment when you have to become ruthless. It means now is the time for you to decluttering theÂ non-essential items to remain organized. possible to place extra shelves to stack more items or clothing in organizer boxes. You may face a little trouble while creating extra spaces in your freestanding wardrobes and yetÂ there are ways of doing so. You can use books on your wardrobe’s inside to hang your coats, hatsÂ or bags. How about installing them on your wardrobes’ exterior to get that extra space? AnotherÂ excellent tactic to increase space in a wardrobe is to use shoe organizers for storing other itemsÂ like t-shirts, pants, and socks. You should not underestimate the potential of vertical space at your home. Many people makeÂ the blunder of using the entire floor area and simply overlook the space that can be used on theirÂ walls. For instance, you can install large shelves or built-in wardrobes on your walls to add moreÂ storage. 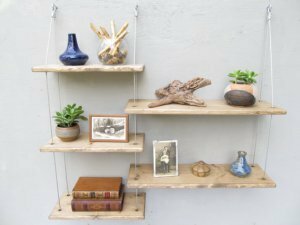 Another stylish way is to install floating shelves that can use the vertical spaceÂ effectively. Feel free to think creatively while utilizing your vertical space in the best possibleÂ way. You can hang the utensils on a utensil rack on the walls of your kitchen. Alternatively, you mayÂ use the ceiling of the kitchen to create a rack for your pans. This way, tour cupboard and drawerÂ space can be freed from bulky items. Instead, you can store your more important kitchen gadgetsÂ there. 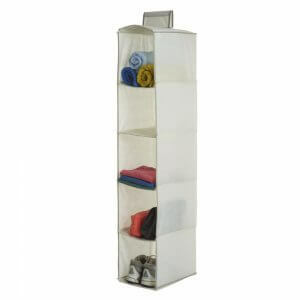 In fact, vertical space is also useful for storing your electronic items. So, mount your TV set onÂ one of the walls when moving into your new house. You can also place your stereo or music system on a wall shelf to save plenty ofÂ places. Go for wall-mounted lighting systems instead of table lamps or floor lamps.